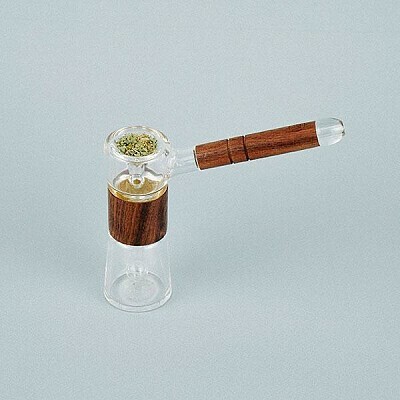 The Marley Natural Glass & Walnut Bubbler is a unique hybrid water and dry pipe. The generously sized base allows for filtering a large volume of water, while the globe-shaped percolator offers a one-of-a-kind filtration system. The immaculate design makes this piece a display-worthy object, while removable parts allow for easy maintenance.